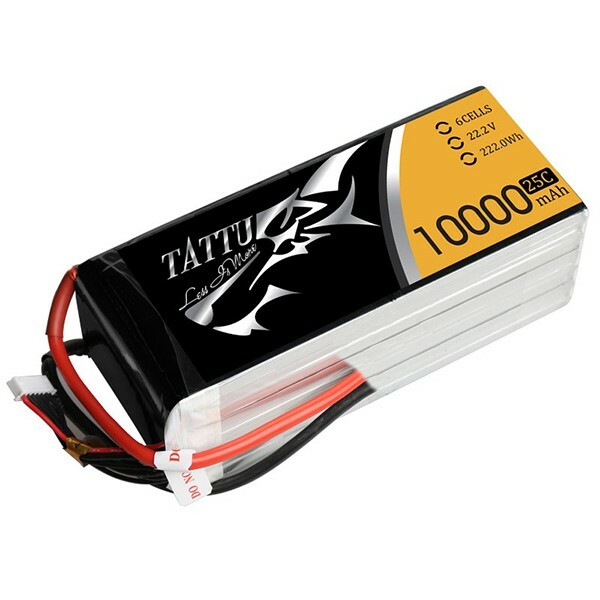 Tattu 10000MAH 22.2V 25C 6S1P LIPO battery pack used for DJI S800 , S800 EVO, S1000 ŒCineStar 6, XL HexaCopter and other full-size multirotors. Tattu 10000mAh 22.2V 25C 6S1P Œprofessional battery for UAV drones. With light weight, smooth discharge and long flight time, best suited for DJI S800 , S900, S1000 ŒCineStar 6, XL HexaCopter and other full-size multirotors.